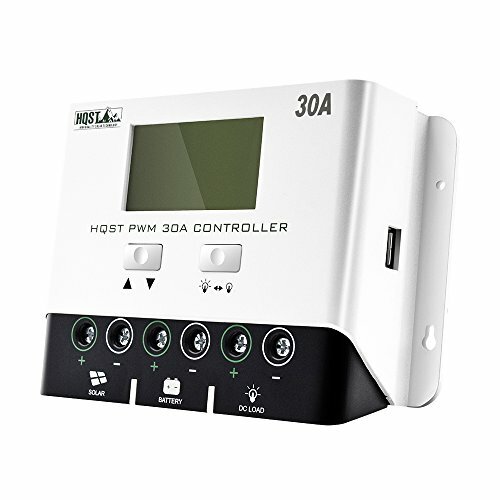 HQST 30 Amp solar charge controller is a negative ground controller. This ensure compatibility with any negative ground system, which is the standard and most conventional way of grounding. Any negative connection on the solar module, battery and load can be safely earth grounded as required. Backlit LCD for displaying system information and error codes, which also makes it easier for users to adjust settings or self-diagnose. Introducing our new 30 Amp PWM charge controller, now with a rugged case, backlit LCD and negative grounding. 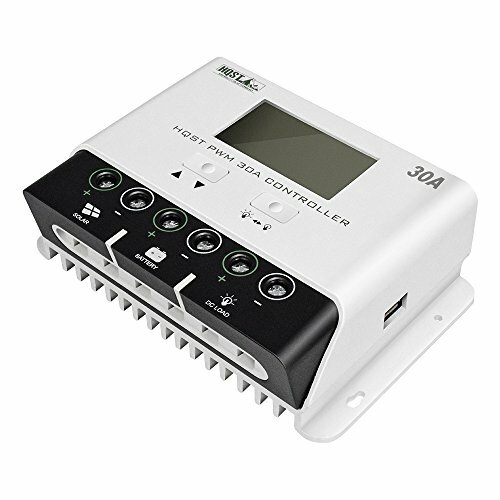 This intelligent and multi-functional controller is designed for off-grid applications and can be used with a 12V or 24V battery bank. Integrating smart PWM charging and temperature compensation, it increases battery life and improves system performance. The controller comes equipped with fully comprehensive self-diagnostics and electronic protection functions to prevent damage from installation mistakes or system faults. Intelligent protection against: reverse polarity, battery short-circuit, over current, overload, load short-circuit and over temperature. 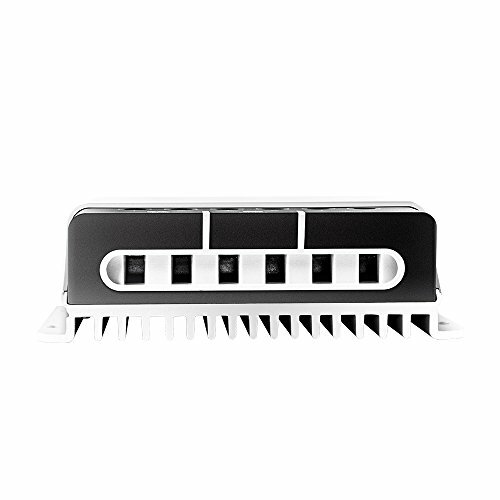 Features a 5V 1A USB output that can be used to charge mobile phones, tablets, speakers, etc. A wide range of load working modes facilitate the product’s application to different types of load.